Day 7 of Chinese Lunar New Year (年初七) is also known as Ren Ri (人日) meaning the common "birthday" of all human beings. During this day most of the family will gather everyone in the household to have a feast together in order to celebrate the occasion and at the same time do a Lo Hei Yu Sheng (捞起魚生) to bring in luck for the family. In this post I would be sharing how we celebrate Ren Ri and some of the auspicious meaning when eating Yu Sheng (鱼生) as well as a recipe for Longevity Noodles (寿面). Yu Sheng (鱼生) means raw fish in Mandarin which sounds like "abundance - 鱼" and "Rise - 生" therefore it is an auspicious dish to have through the 15 days of Chinese New Year (CNY) celebration. - Abundance throughout the year. - Good luck and great prosperity. - Attract wealth and treasure. - Enjoy folds of wealth and profits. - Good luck is approaching. - Whole floor will be filled with gold. After the above 10 steps to assemble the Yu Sheng, get ready to toss the mixture HIGH UP 7 times with auspicious wishes in order to bring in (Lo-Hei - 捞起) good fortunate. After tossing the mixture, get together and enjoy the Yu Sheng (raw fish salad) which always served as the starter before the main dish during CNY. Longevity Noodles (长寿面) is often eaten during Birthday or festive season such as Chinese New Year. 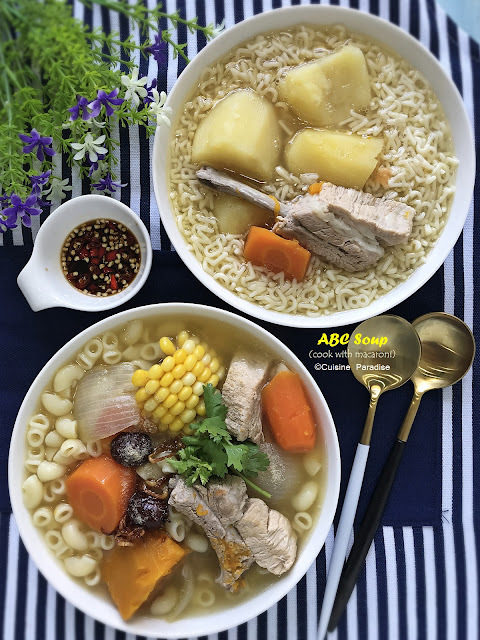 This noodle is often served to symbolise longevity and there quite a few ways of preparation this noodles base on individual dialect groups and culture. To cook this noodle, one must not cut or break it into shorter length which defeats the meaning of "longevity (长寿)". 1. 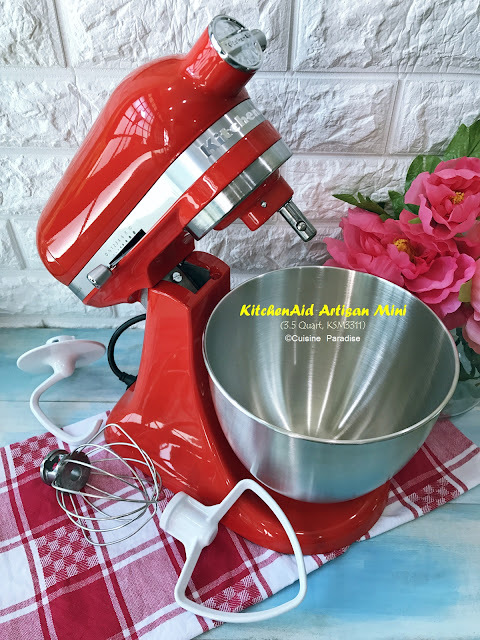 Blanch handmade noodles in boiling water for 1 minute; remove and rinse in cold water, drain and set aside. 2. Preheat frying pan with 1.5 Tablespoon of olive oil, saute minced garlic till fragrant, add in mushroom and cabbage then continue to cook until cabbage is soften. 4. 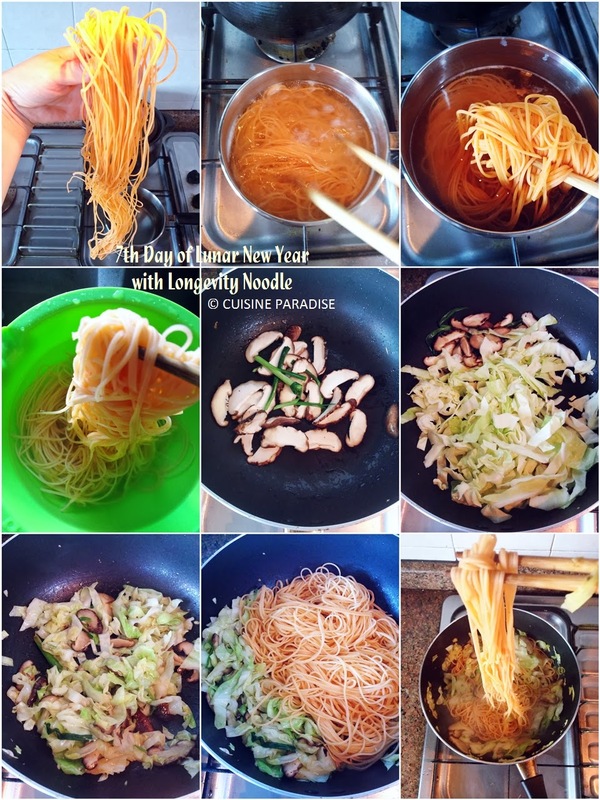 Remove and divide noodles into plates then serving immediately with extra garnishing. Since this dish was served on Day 7 (年初七) of CNY to celebrate everyone's birthday I decided to add in some leek to enhance the taste as well as include good "counts - 蒜/算" of everything for the year ahead. 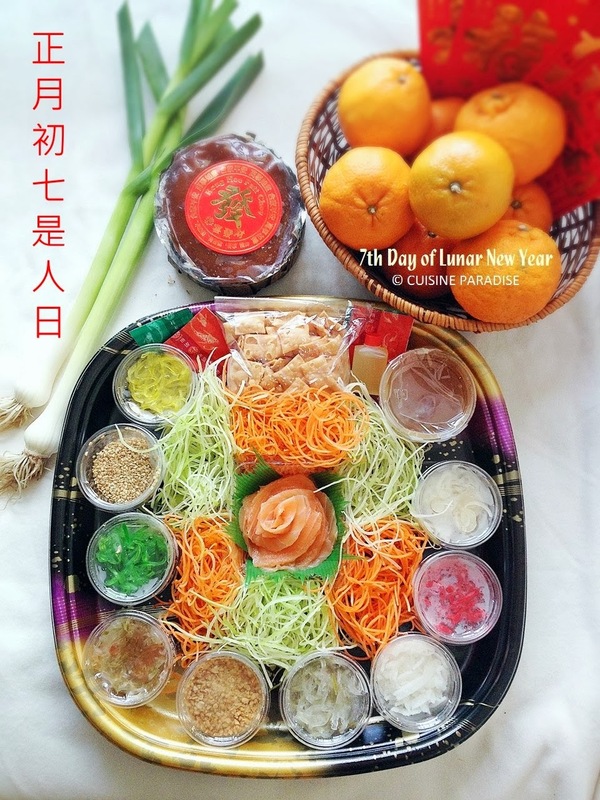 Today, 14 February 2014 is the last day of Chinese Lunar New Year as well as western Valentine's Day so if you have not eaten any Yusheng this new year, go grab a set and enjoy it with your family or loved ones today to celebrate this festive reunion season. Happy Valentine's Day and happy yuan xiao. Hi Veronica, Happy Valentine's Day and 元宵节快乐 to you and your family too!!!! Lastly, please DO NOT SPAM as Spam comments will be deleted immediately.